Star of “The Dallas Buyers Club” Jared Leto talks about his role as Rayon during an American Cinematheque Q&A session. After a special screening of Director Jean-Marc Valee’s Dallas Buyers Club at the famous Egyptian Theater (American Cinematheque) in Hollywood Oscar Nominee Jared Leto graced the audience and answered a few questions about the film. 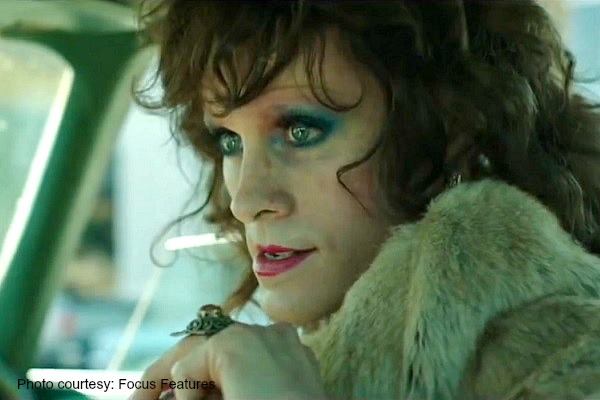 Leto, who plays a transgender woman with HIV named Rayon, is the supporting actor to Matthew McConaughey’s homophobic character Ron Woodroof. The pairing couldn’t be odder yet makes for one of the most captivating onscreen duos I have ever seen. The film is based on the real life experiences of Ron Woodruff surrounding his life beginning in 1985 after he was diagnosed with HIV and told he only had 30 days to live. Jared Leto, who is also the lead vocalist in a very successful band named “Thirty Seconds To Mars”, had not acted in a six years prior to the film. His band was at the top of their game and he had no motivation to act until he came in contact with the Dallas Buyer’s Club script and was pulled in by the story and characters. After a Skype audition in which he basically flirted with the director as the character Rayon he had the job. When asked about the long time in between films and what made him want to be a part of it he fell in love with the script. He believed the story was important and showed him a side of the world he had never seen before. 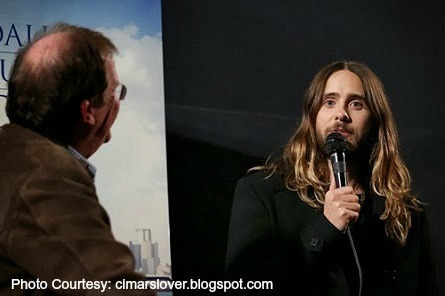 Jared also talked about how he fell in love with the character who was such a dreamer full of beauty and grace. According to the actor the life he lived during his absence of the film world actually helped him play Rayon because of different experiences he has had and different people he has met. The most difficult scene for him to shoot was a scene where he went to see Rayon’s father and for the first time was not dressed in woman’s clothing but instead wearing a man’s suit. He feared without the clothing he would lose the character and ironically he says “for the first time I felt like I was in drag” because dressing in a suit was not who Rayon was. A man whose film work also includes “Requiem For a Dream”, “Panic Room”, and “Chapter 27” amongst other films and has been acting since the 90’s does not feel like a veteran either. “I feel like in a lot of ways I have started again… as an actor this is the beginning” And if this is the beginning I’m sure I speak for most of us when I say I’m excited about what’s to come.